Octagon Point Business Centre is situated close to St Paul’s tube station, which offers links to many areas of Central London and beyond. Refurbished to an extremely high standard, this modern building boasts a quality interior accompanied with lavish furniture. 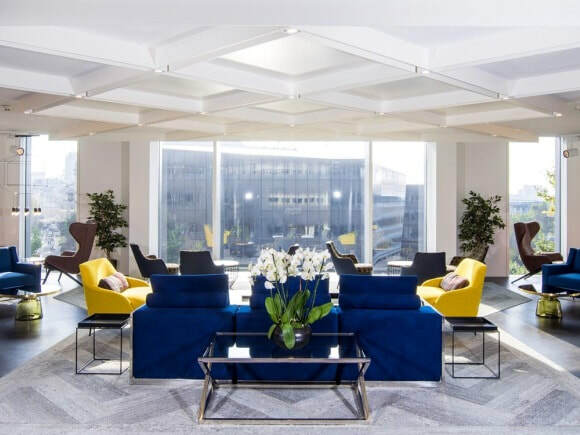 Amenities at the office rental include a staffed reception, meeting rooms and comfortable lounge and seating areas. Serviced offices are available to rent in a multitude of sizes and are suitable of either small or large companies. With dedicated or shared broadband to choose from, these suites come preinstalled with IT cabling which is ideal for a quick and easy set up. Security systems are in place and additional services are on offer such as telephone answering and admin support. All office space is fully furnished and each workstation comes with digital handsets.